Norr have put forward detailed plans for one of the first plots to be developed under a 7N masterplan for Shawfield on the south bank of the River Clyde. 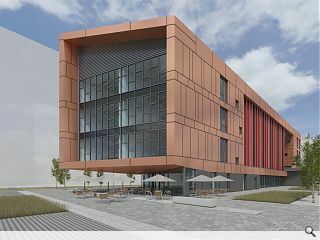 The Red Tree Innovation Centre sits on the south-east corner of the masterplan area, bounded by Shawfield Bridge and a riverfront walkway with the expectation being that the centre will be isolated for a ‘number of years’ until neighbouring plots come to fruition. Arranged over four floors the development will offer lettable office accommodation in addition to a range of common spaces such as a café and kitchen as well as gardens, balconies and breakout spaces. 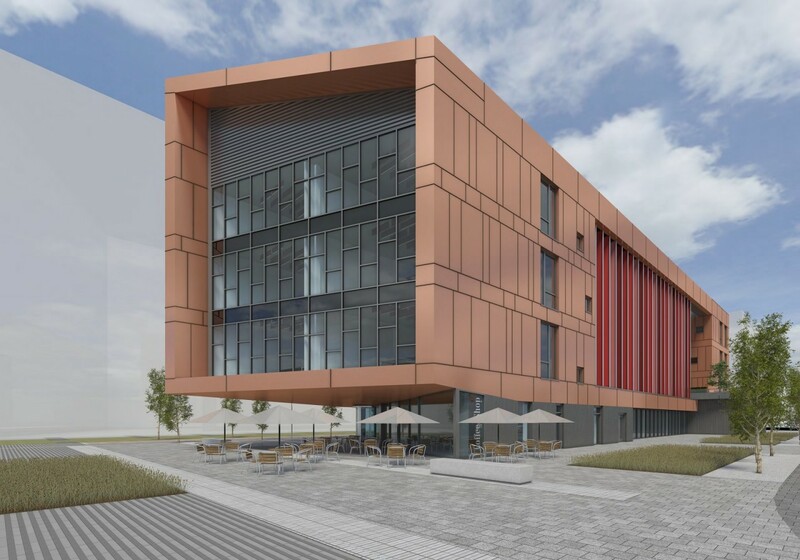 In their design statement Norr said: “This building being the first to be constructed on the Shawfield site and being located at a ‘key node’ of the masterplan will initially be a standalone building. As such it requires to be considered ‘in the round’ having no other built forms or context to relate to. The entire building will be wrapped in bronze metallic effect rainscreen cladding, chosen for its warm tone and relationship with the areas industrial heritage. A nice bit of beefy bold design. At first I thought it said it was being built in Shawfair, the development near Edinburgh. My jubilant surprise was soon crushed. Ah, if only. Hats off to the Norr posse. Some of their stuff is a bit meh, but this is good.